I don’t know what this game is trying to be; Rock ‘n Roll Racing or Super Off Road for the modern generation, either way, it doesn’t nail either and gets so much wrong on the way there. I’d love to say that the psuedo isometric racer screams round corners and bounds over jumps with a grace and ease rarely seen elsewhere. I’d also like to say that it’s an ideal arcade racing game for solo play and for when your friends pile round on a Friday night. I can’t do either. 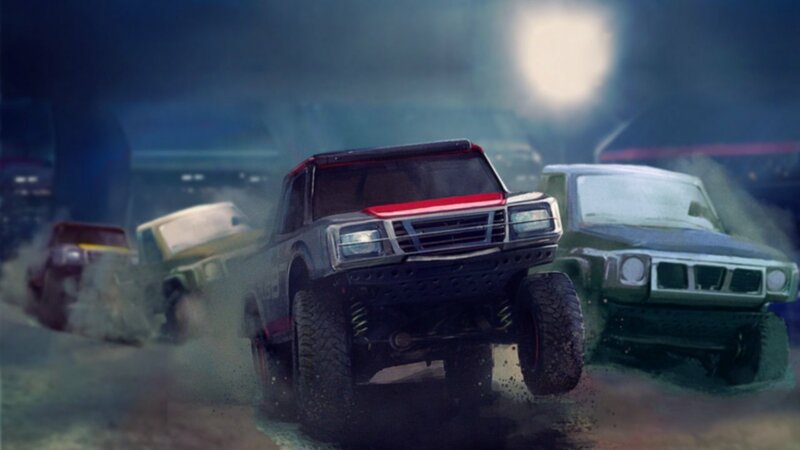 What Rock ‘N Racing Off Road DX actually is, is a clunky racing game that causes more frustration than it’s really worth. There’s the usual fare; grand prix modes and multiplayer, but neither of them particularly set the world alight. The tracks are lifeless, the cars are pretty much cookie cutter replications of the stereotypes often found in budget racers. There isn’t a huge amount to discern between each vehicle, to be honest. Sure, there are jumps that are meant to be exciting – they aren’t. There are tight corners that would be amazing could you drift around them with flair – you can’t. If you so much as graze a wall your vehicle will grind to a halt forcing you to juggle between reverse and accelerate in an awkward fashion. The lap counter can only be seen with the Switch under your nose or with a massive TV and the action on screen is the same; everything is so tiny, but not in a cute ‘Micro Machine’ style. Everything feels very budget. The sound isn’t great, the visuals are only okay and the idea of a single player campaign only goes as far as a few races in each cup which ends with a message thanking you for playing. It could have been so much more and all I got from my time with the game was a hankering to break out my SNES and find a copy of Super Off Road, which did it all so much better… in 1992.